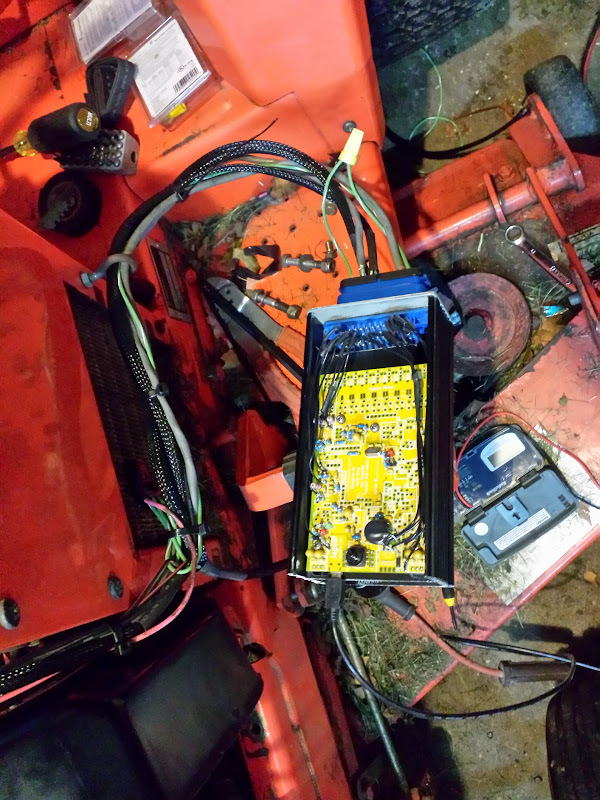 FreeEMS: Jaguar 0.6, Custom enclosure, Ignition only (for now), 2 GM LS style coils, ford truck VR sensor, GM 1 bar MAP, factory cooling fan is the 18-2 trigger wheel. Got the engine running now on the second jaguar--since I screwed up the first one. Same problem though of only firing on one cylinder. Could be something fundamentally wrong with my fixed config does this look right? It might be a little late to ask but a V-twin like this is supported right? or are the event too far apart lol!? Nice comment, re moot, very apt. So if you have your coils on T2 and T3, for example, then you should have your outputEventPinNumbers as 0, 1, and so on up to T7 = 5.
thanks Fred, the mighty hotel can hang with RS4s or do you have your truck running? BTW the MOAR was making wierd sounds. I had the wrong perception of what wasted spark would look like on a 2 cylinder. I also had the decoder offset backwards--I found in an older post that it is 360-whatIthought. That doesn't sound right. Your decoder offset with crank-mounted missing tooth wheel should be 0 to 359.98 inclusive, IE, less than 360. Thank you Fred, for the neat program. Mad props to Fred, Andy, Michael, and everyone else who contributed. 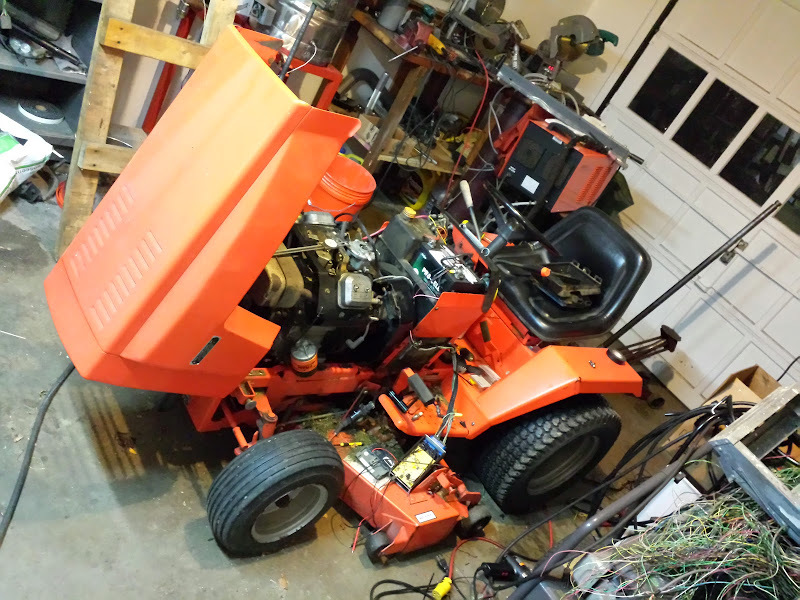 I really had a smile on my face as I mowed the lawn today--got some strange looks--especially from my brother in law when I tried to explain the wires dangling from the engine. I think I want to slap my wide band on next. Maybe fuel injection is in the works. nice, how about installing a turbo on it? Good question, it doesn't have one yet :/, I suppose that is next on the list also. Was planning to drill into the cylnder head somewhere, not sure where yet. I'm guessing the temps can vary greatly depending on where I put it. Ha the thought has crossed my mind also. Anyone know of one small enough ~25 HP? Not an issue with only ignition control! I suppose that is next on the list also. Before you fuel inject, yes. Was planning to drill into the cylnder head somewhere, not sure where yet. I'm guessing the temps can vary greatly depending on where I put it. Probably true, however the only thing that matters is that it's consistent and sufficiently different from "cold" to "hot". The closer it tracks chamber temperature, the better, too. More lag = less "accurate" enrichment. Search for what VW guys do to get some ideas. There is a good image someone posted on here for this. I can't recall who or where, though. PM em_knaps and link to this thread for him to reply.